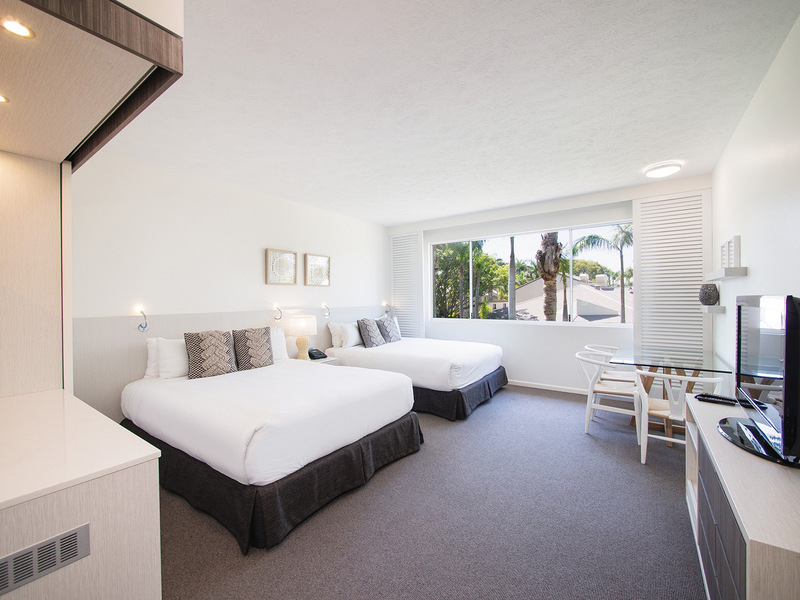 Get away on a well deserved Sunshine Coast holiday to Oaks Oasis Caloundra - the perfect place to soak up some sunshine, relax & reconnect! 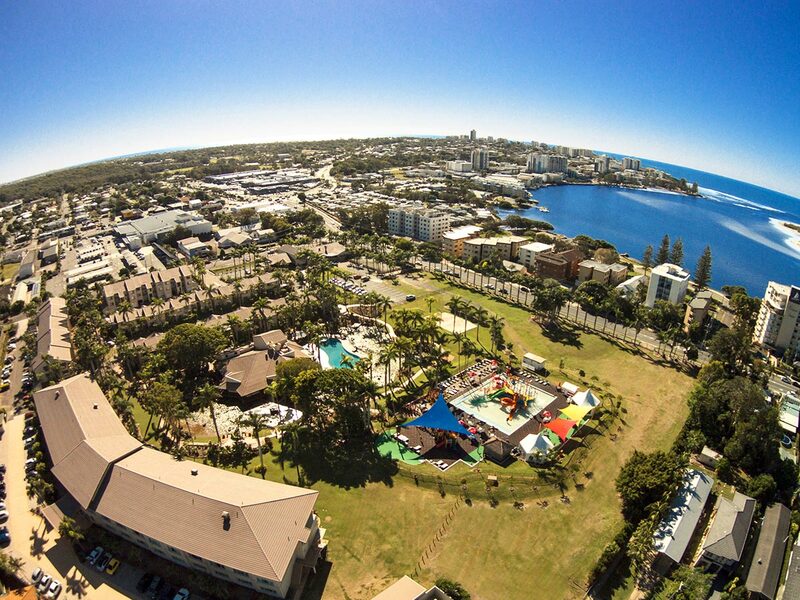 Great Range of Facilities including a tropical pool & spa, children's playground, putt putt, BMX track, trampolines, jumping pillow, tennis court, beach volleyball court, bar & restaurant! 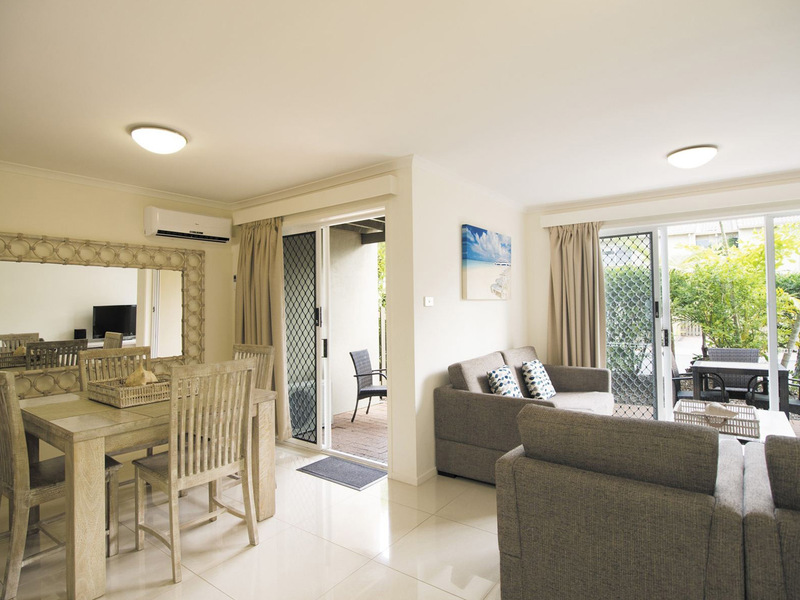 Superb Location walking distance to the famous Caloundra esplanade featuring calm ocean inlet, grassy parks & playrounds. 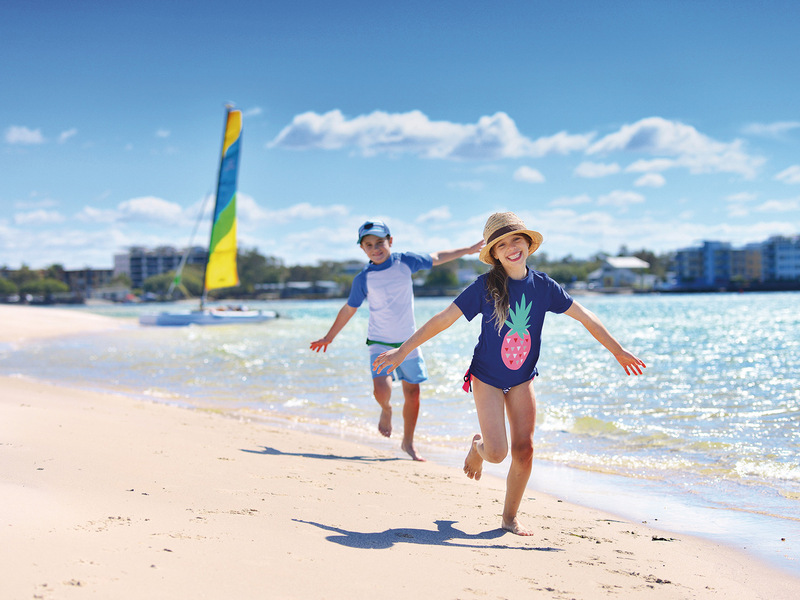 Perfectly positioned just a short walk from the sparkling waters of Golden Beach and now boasting a brand new onsite water play park, Oaks Oasis, Caloundra is an ideal choice for families, couples and groups alike who want to get away on a relaxing and family friendly Sunshine Coast holiday. 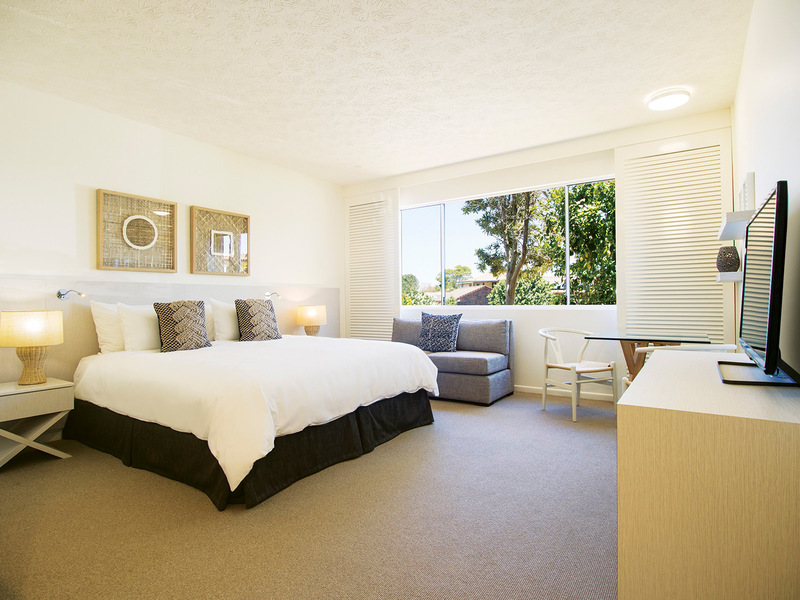 With this fantastic offer you have the choice of staying in a newly refurbished Executive King Room which is ideal for couples or an Executive Family Room which can sleep two adults and two children (0-12 years old). 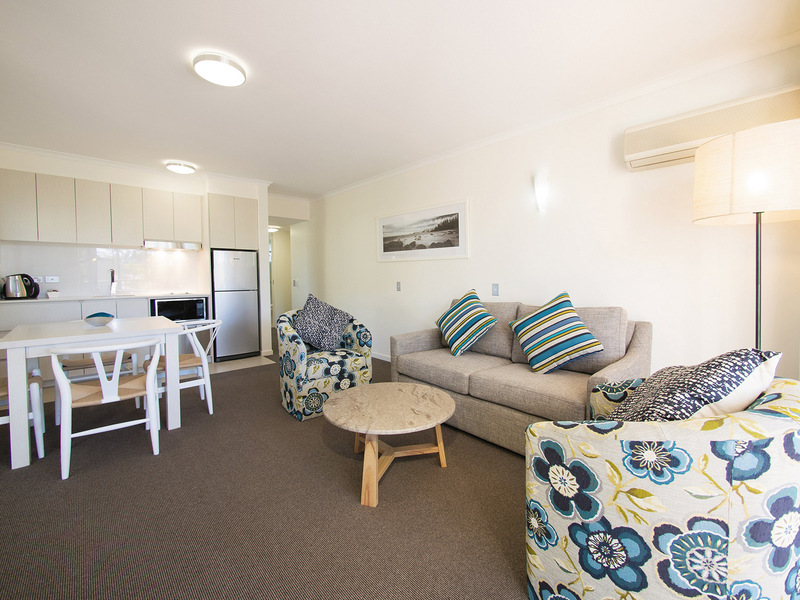 Both rooms are equipped with everything you need to enjoy your Sunshine Coast holiday, such as reverse cycle air conditioning, cable TV, Wi-Fi internet access, large open plan living areas, bar fridge and tea and coffee making facilities. 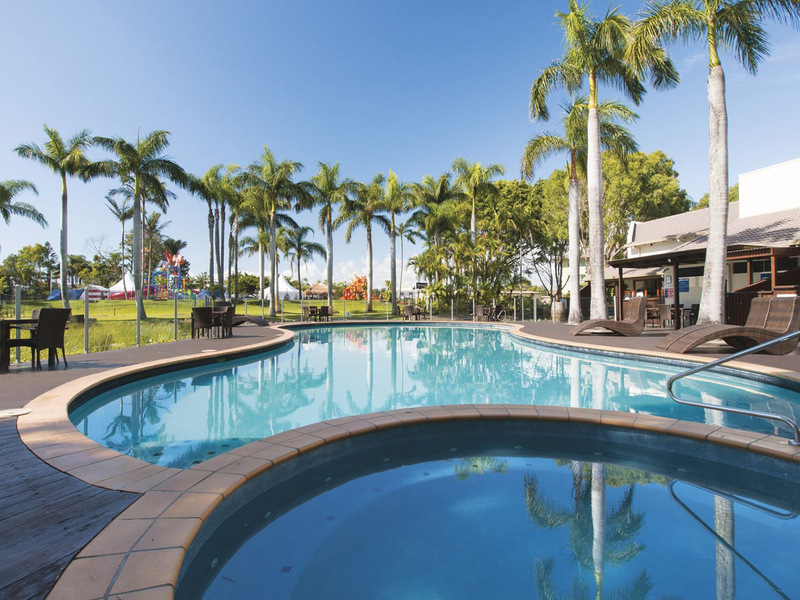 The newly refurbished resort boasts a $4 million dollar upgrade featuring a state-of-the-art waterpark set amidst the resort’s sweeping grounds. 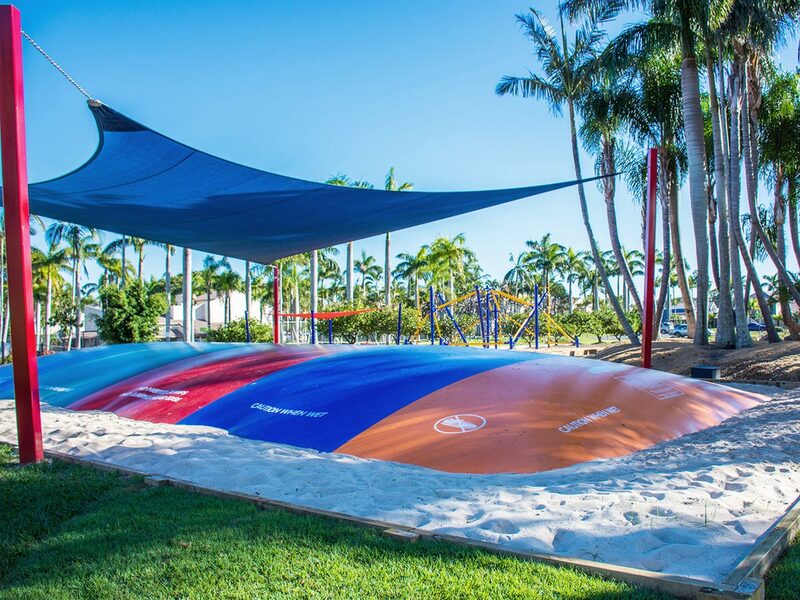 The 500m2 play zone includes a large splash pool and central, multi-level water attraction complete with water slides, fountains, colourful and interactive activities. 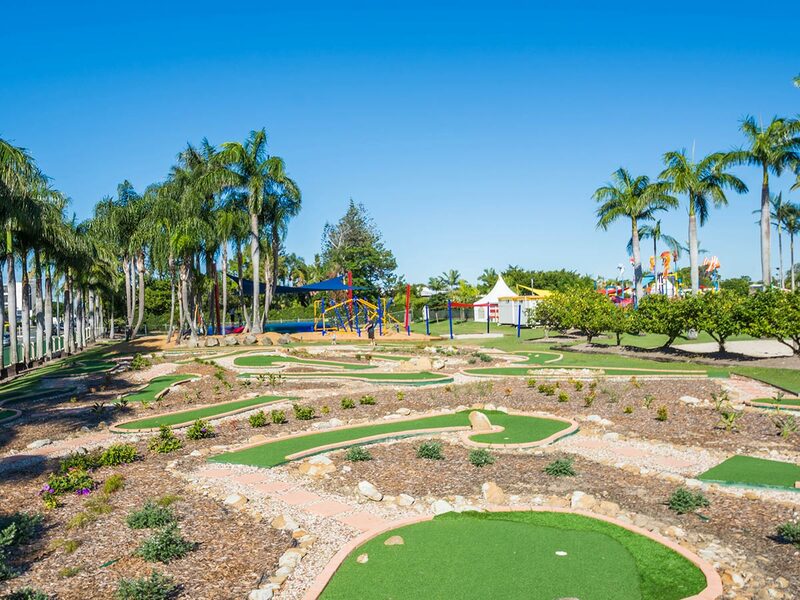 The Oaks Oasis Adventure Zone features an interactive, open-air playground exclusively for resort guests that boasts an 18 hole putt putt golf course, sand pit, giant jumping pillow, and climbing frame! 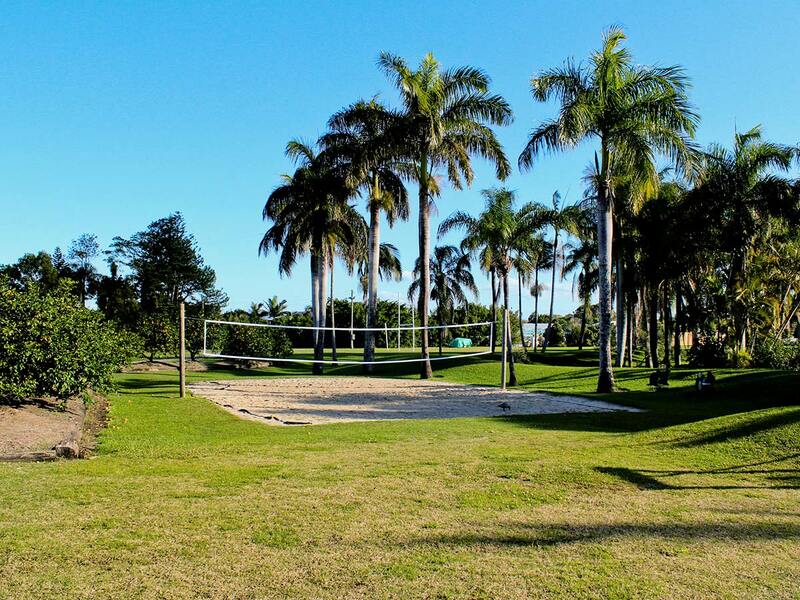 There is also an array of other leisure facilities and activities onsite. 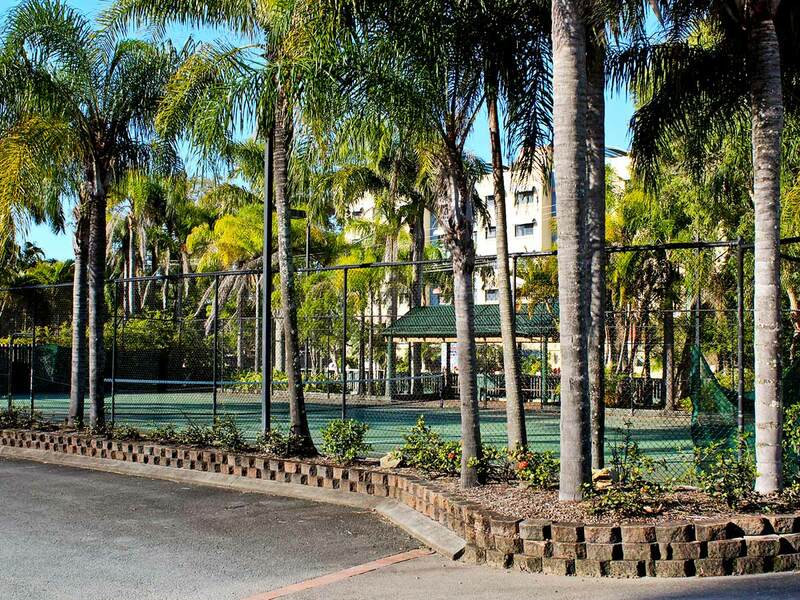 Play a game of tennis on the floodlit tennis courts or relax by our central, tropical pool with spa. Kids can also enjoy the children's playground. 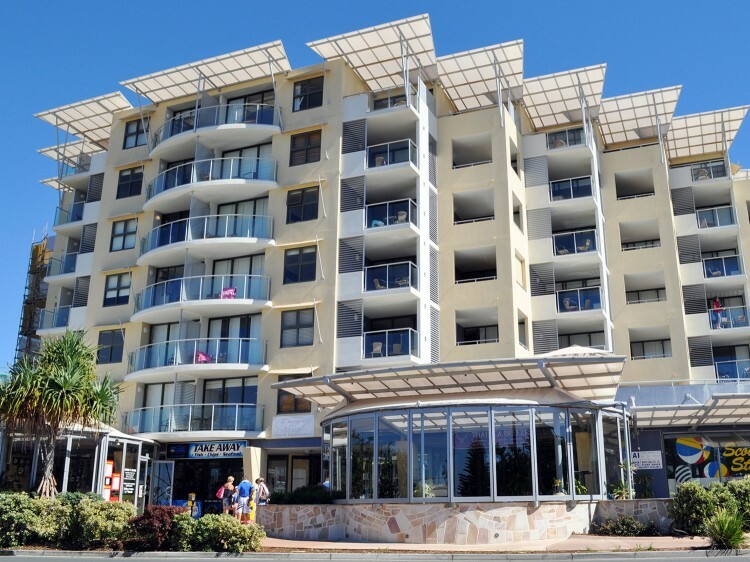 Once you arrive at Oaks Oasis, you can park the car onsite and walk to Caloundra’s finest attractions including Bulcock Beach, Kings Beach and boutique shopping. 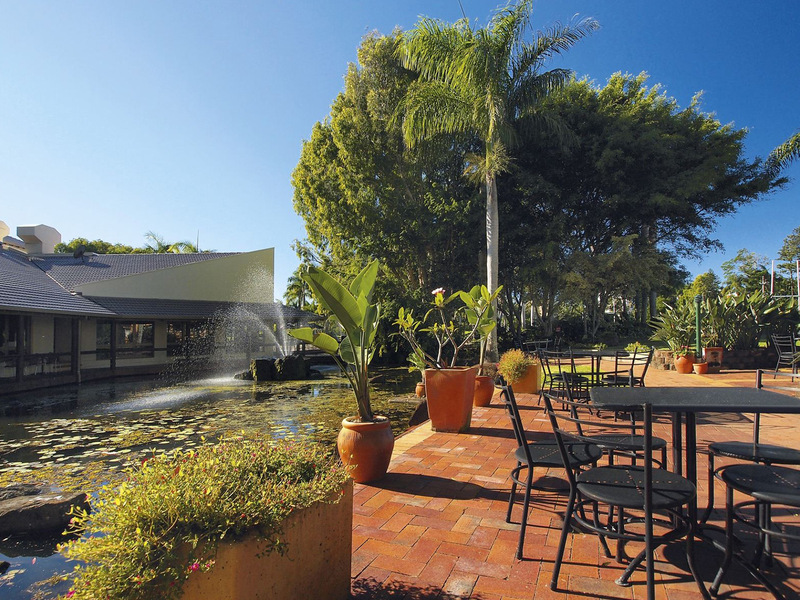 When hunger strikes, you can enjoy a bite from the poolside Reflections at Golden Beach Restaurant or stroll downtown to an assortment of cafes and restaurants. 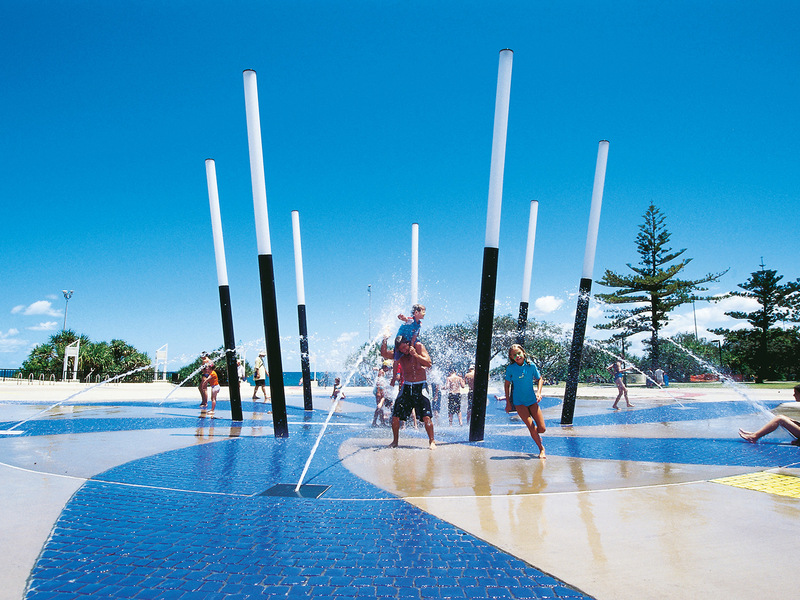 Oaks Oasis, Caloundra is located just an hour’s drive north of Brisbane on the southern tip of Queensland’s Sunshine Coast. 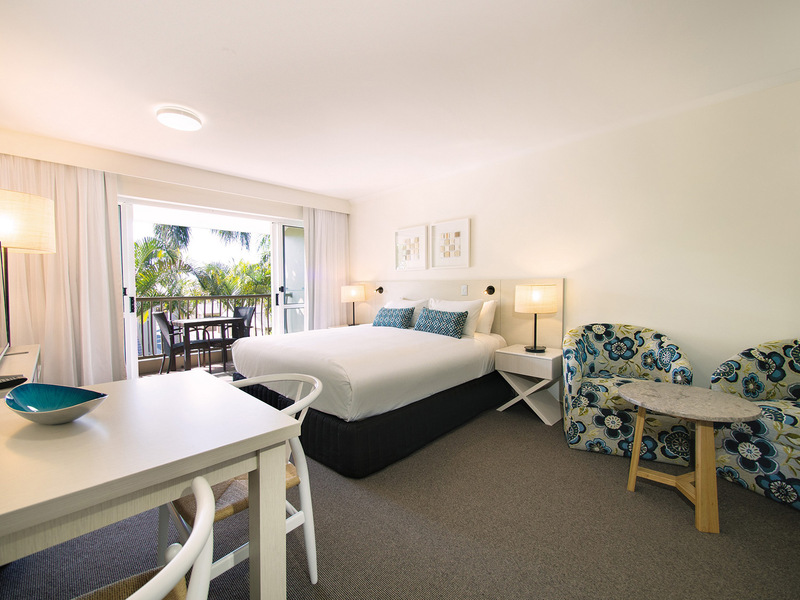 Also ideally situated within a short drive to a handful of Sunshine Coast favourites such as Australia Zoo, Underwater World the Ginger Factory and more. 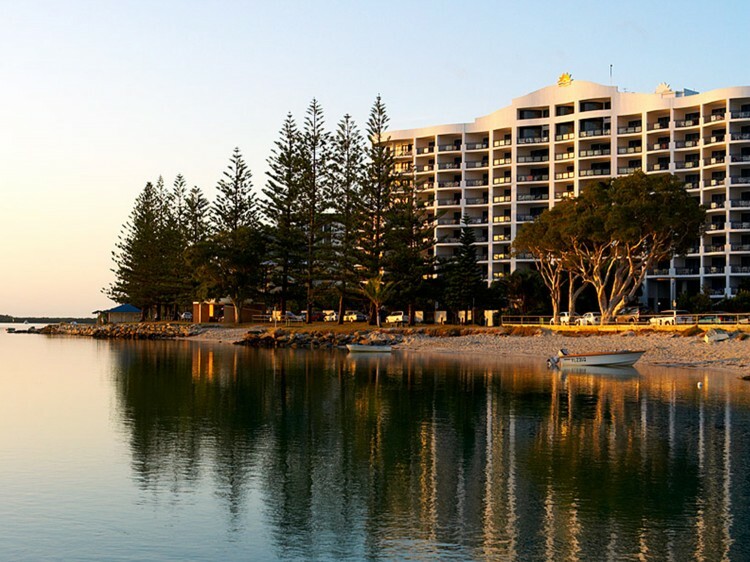 And if you’re looking for a relaxed meeting and conference venue on the Sunshine Coast, there are four newly refurbished onsite conference rooms and offer an array of catering options and business and secretarial services. Open for Breakfast from 7:00am to 9:30am Monday to Thursday and 7:00am to 10:00am Friday to Sunday. 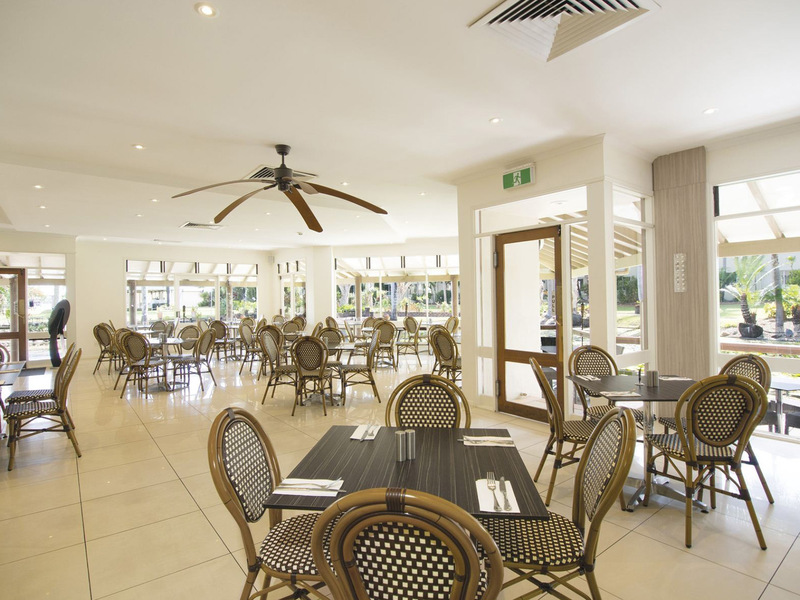 Open for Dinner from 4:30pm to 8:30pm daily. 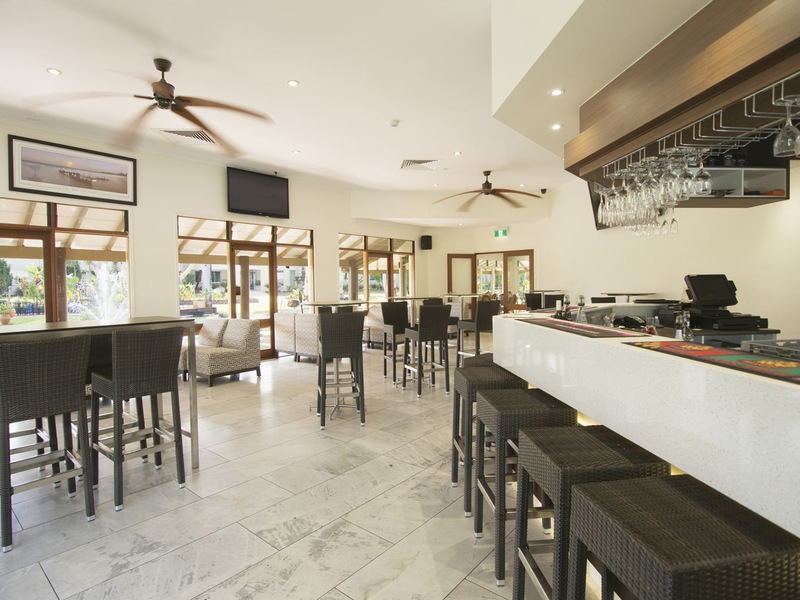 2 Course Dinner - $32 per person or 3 Course Dinner - $37 per person. 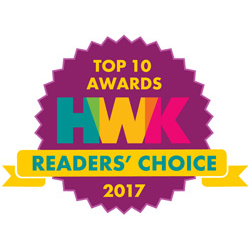 Children's meals - $12 per child. Prices are subject to change without notice.